As policymakers consider changes to the state’s tax code, it is critical to maintain proven policy tools that reverse the upside-down nature of the system. The state Earned Income Tax Credit (EITC) provides workers earning low wages with a credit to offset their total state and local tax contributions. This credit continues to be a critical support for low-paid workers during the weak economic recovery. 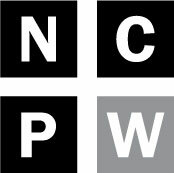 Nearly 907,000 North Carolinians claimed the credit in 2011, with claimants living in each of the state’s 100 counties, according to the NC Budget and Tax Center’s analysis of tax return data provided by the NC Department of Revenue. Yet, in mid-March, Governor McCrory signed a bill that reduces the state EITC from 5 percent to 4.5 percent of the federal credit for tax year 2013 and eliminates the tax credit thereafter. Now is the wrong time to further shift the tax load onto North Carolina’s lowest-paid workers—especially those with children to support—by cutting or eliminating the state EITC. Even with this tax credit—which helps low-paid workers makes ends meet by offsetting their total state and local tax contributions—moderate- and low-income working families still pay a greater share of their income in state and local taxes compared to the upper-middle class and wealthy. [kml_flashembed publishmethod=”static” fversion=”9.0.0″ movie=”/swf/eitc2013/preloader.swf” width=”670″ height=”550″ wmode=”transparent” targetclass=”flashmovie” fvars=”xml=/swf/eitc2013/xml/EITCformatted2013.xml;swfSource=/swf/eitc2013/dataMap.swf”]Note: The below is a placeholder image, the interactive map is best viewed with Adobe Flash Player, get the free player here from Adobe’s website. Of particular note is that the state EITC effectively targets communities with high poverty rates and high unemployment rates. The communities that have traditionally experienced economic hardship in the eastern part of the state have some of the highest percent of state EITC returns filed as well the percent of households receiving the state EITC who receive a refund. 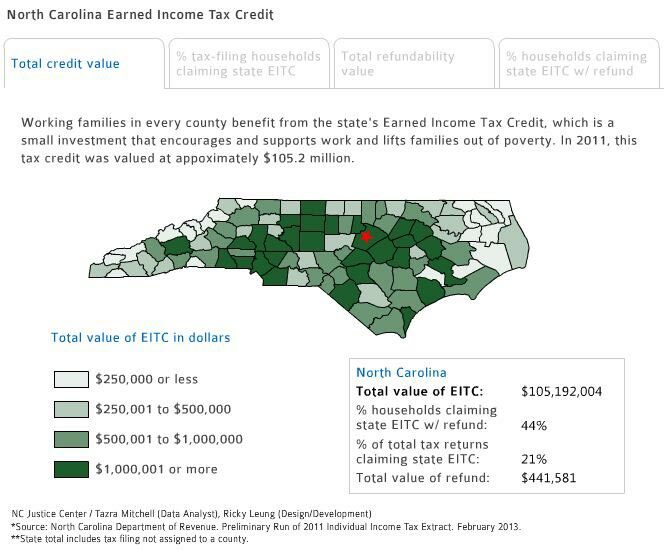 These finding suggest that the state EITC is a precise, well-targeted program that helps North Carolina’s families and local economies throughout the state. More on the EITC here.